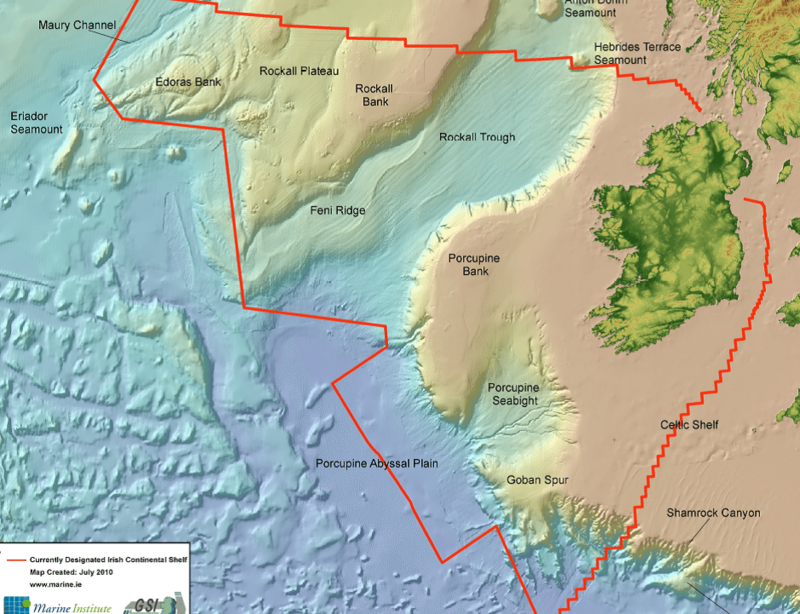 The map (©INFOMAR GSI/MI) is a swath bathymetry map showing Ireland and our designated offshore region, with the main bathymetric features named. The map is a swath bathymetry map that shows the main seabed features. Basement blocks and shelves typically define the shallow waters (light brown colour) while the bathymetric troughs (blue colour) in the Atlantic region are underlain by large sedimentary basins (Porcupine and Rockall basins). Location of the various sedimentary basins around Ireland (modified from Naylor & Shannon, 2011 after Naylor & Shannon, 2009 and Naylor et al., 2002). 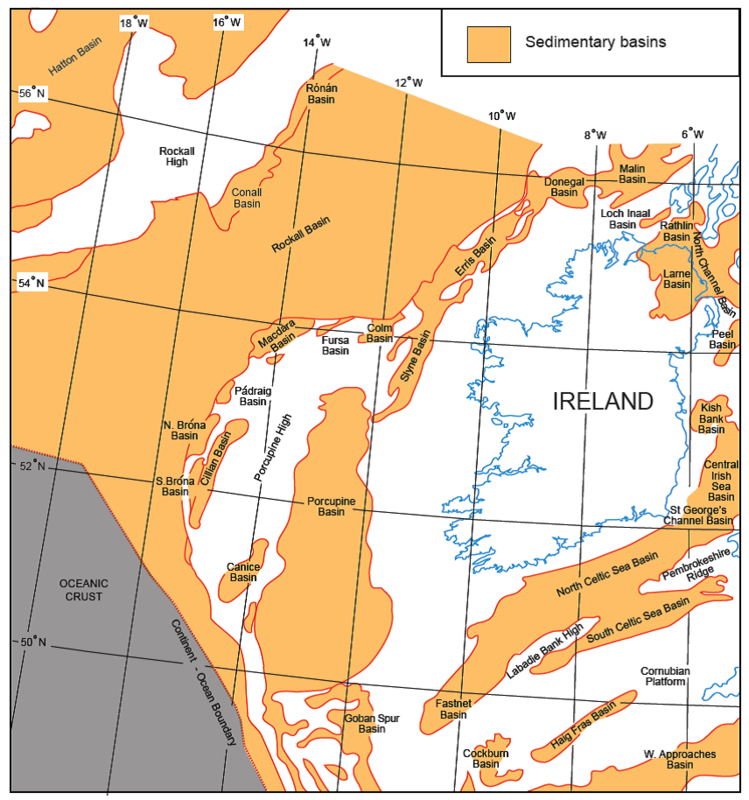 Ireland is virtually surrounded by sedimentary basins, with the largest ones lying in the deep waters of the Atlantic Ocean. 160 Exploration and Appraisal wells have been drilled in the Irish offshore since 1970. There have been four commercial gas discoveries. In addition, there have been approximately 11 key oil, gas and condensate discoveries but none have yet led to commercial developments. In contrast, more than 4,000 wells have been drilled in the UK offshore (resulting in more than 350 producing oil and fields), with more than 1200 wells drilled in the Norwegian offshore.